This upscale assets, is very effective low dose. Il is known for its moisturizing and plumping intense. This is the essential ingredient of care «liftants» tensor and reshaping and moisturizers wrinkle for the face and neckline. In spite of the simplicity of its composition, a large number of other biological functions have been discovered. It not only acts as a biological “glue” which participates in the process of lubricating joints or contributes to maintaining the cohesion of certain conjunctive tissues, but also acts as a microenvironmental signal that co-regulates cellular behaviour during the embryonic development of the morphogenesis, the healing of wounds, repairing and regenerating. 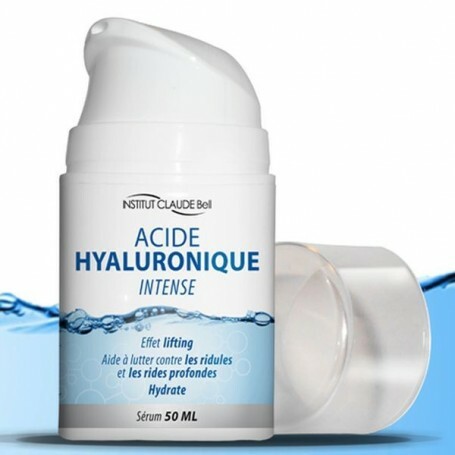 HYALURONIC ACID is found in the whole body (50% in the skin). There is 15 g of hyaluronic acid in a person weighing 70 kg, 5 g of which are replaced every day. The stock of hyaluronic acid is naturally and constantly renewed, but the rate of this renewal slows down with age and external aggression. It is consequently necessary to act very quickly by maintaining an excellent renewal of hyaluronic acid, similar to the process of young skin.